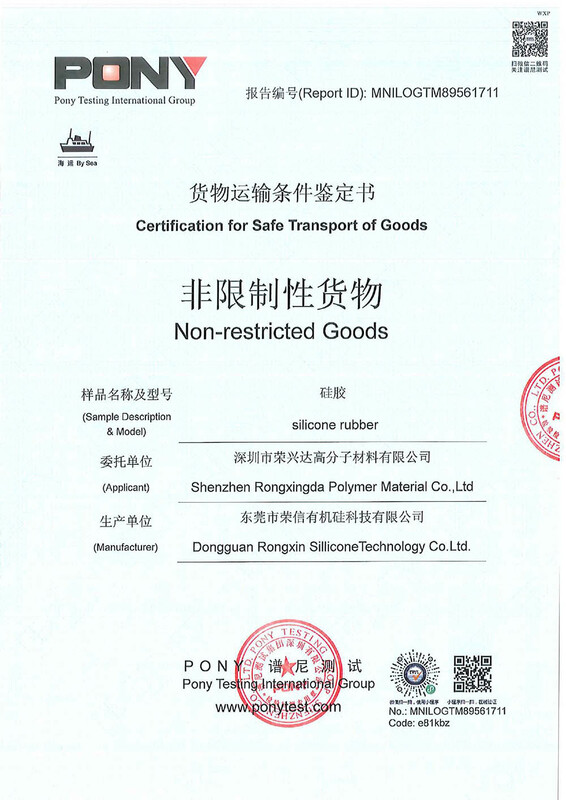 Company Overview - Shenzhen Rongxingda Polymer Material Co., Ltd.
Rongxingda Silicone was established in 2005.It has two companies, Shenzhen Rongxingda Polymer Material Co., Ltd. and Dongguan Rongxin Silicone Technology Co., Ltd. 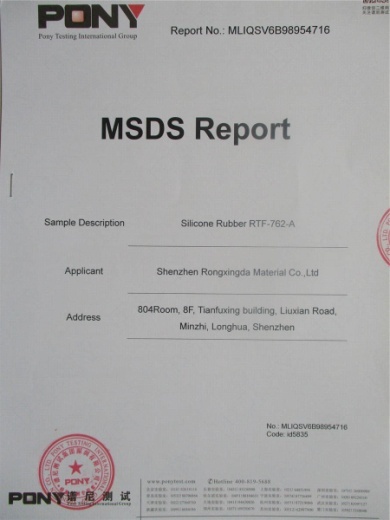 The production base is located in Tianxin Industrial Zone, Dongguan, Guangdong and a land area of 5,000 m2.The company has provided R T V 2 tin cured and platinum cured liquid silicone rubber to customers for years, especially for mold making silicone rubber, potting silicone, silicone foam, urethane rubber and polyurethane resin. We inspect the product quality if they reach the standard before the products export and we provide the professional instructions. Excellent quality and complete after-sales service has won the favor and approval of many domestic and foreign customers.We have a professional R & D team and management team. Our production base has advanced production, testing and laboratory equipments. 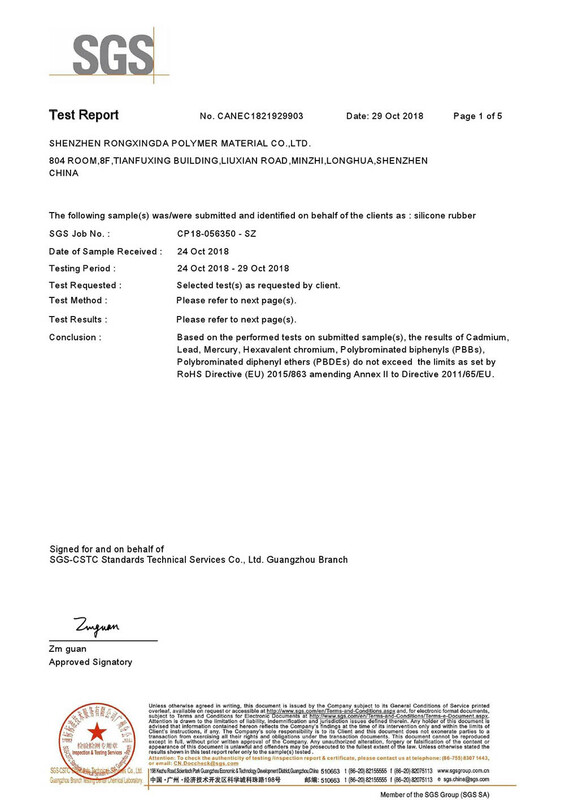 We have 13 years rich experience in this field, we have strength to provide the quality products and technical service.The production base has passed I S O 9 0 0 1 and I S O 1 4 0 0 1 system certification. 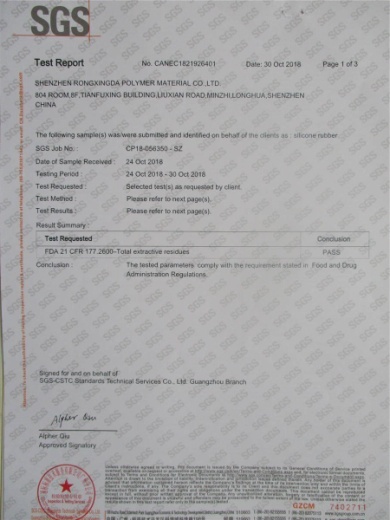 The products have passed the SGS, F D A, RoHS, R E A C H and M S D S and other product certification. Our products have been sold in over 100 countries, and the export volume up to 1,000 Tons in 2017. Welcome to visit our factory, we will provide reliable products and service to you.